Dr. John Najarian, now 79, limits his surgical calendar these days, but he still performs kidney transplants. He's a frequent guest lecturer at places like the Mayo Clinic and Johns Hopkins University. In his office he has pictures of himself with Pope John Paul II, a signed portrait of Hubert Humphrey, and photos from his days as a standout UC-Berkeley football player. Among the display is a small acrylic frame with a postcard-sized piece of paper. On it is the written confirmation that absolved him of 15 federal charges, ranging from embezzlement to obstruction of justice. Charges that Najarian's team violated federal drug rules never made it to trial. "(Over here) I have the sheet that came back from the jury, that indicates we were not guilty throughout," Najarian says. "Once you get that kind of charge placed against you, people do remember and it took a while to forget." Najarian was exonerated in the eyes of the law, but professionally he was wounded. The cloud of scandal by a very public prosecution, and a separate investigation by the university costing nearly $4 million, reduced Najarian's profile. But the doctor retained his job as a surgeon and remains an advocate for the surgery program he led. "We were the first to do pancreas transplants, first to do kidney transplants in diabetic patients ... first successful liver transplant, trained all the individuals who did the first heart patients, did the first successful bone marrow transplants," he says. We had, in a sense, betrayed our contract with the people of Minnesota. We had lost our sense of core values of who we are and why we're here, and I could do something to restore that. Najarian points out that the university's transplant program is the recipient of the longest-running National Institutes of Health grant in history. 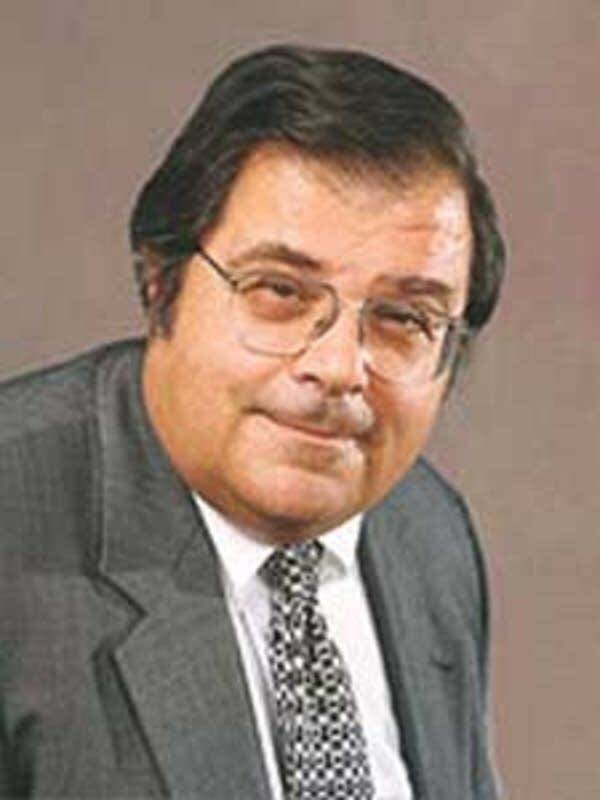 Najarian himself brought the grant to Minnesota when he was persuaded to leave his position with the University of California-San Francisco medical school in the late 1960s. 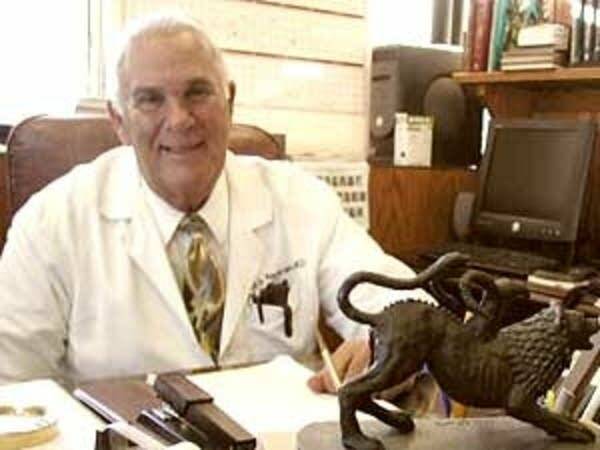 Najarian oversaw the development and manufacture of the transplant drug AntiLymphocyte Globulin, or ALG. The government shut the operation down after 25 years because the drug never received federal approval. Before the scandal, the medical school enjoyed an NIH funding rank in the top 15 in the country. Afterward, the ranking slipped out of the top 20, even as NIH total funding nationally nearly doubled. 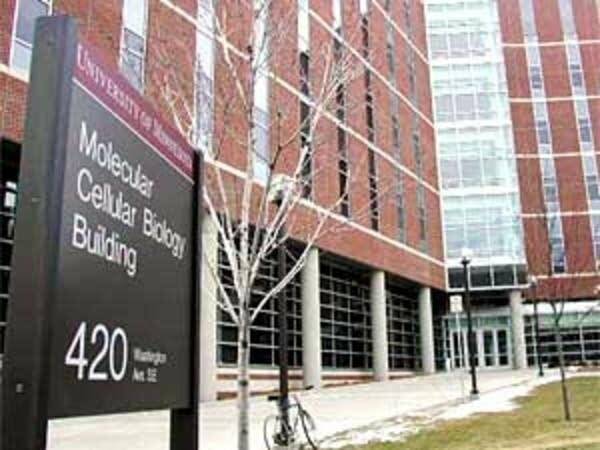 The U of M ranked outside of the top 30 research grant recipients for the first time in 2003, even though the university's NIH revenue increased to $237.7 million in 2005, up from $140.1 million in 1996. In the years after the ALG scandal, the medical school lost 86 faculty members. Medical school officials say faculty losses were halted in 1999. Since then, they say, the university has recruited 46 new faculty members in cancer, genetics, genomics and stem cells, and other areas of research. University officials say these faculty gains in research square with university President Robert Bruininks' stated vision to elevate the U of M to one of the top three research institutions. Deborah Powell, dean of the Medical School, is clearly concerned with the NIH numbers that provide a substantive measurement of prestige for prospective students and faculty. "People are ambitious. And they want to go where they will succeed. And they think they can succeed easier in top schools," says Powell. "So we have to convince them we're a school on the move, that we have the resources for them, and we are committed to excellence and that Minnesota was in the top 20, and can be again." Among the strengths Minnesota has, Powell says, is a loyal and passionate faculty that lacks the elitism that infects so many other schools. Of course, it takes more than that to catch the attention of the NIH. The university's Center for Magnetic Resonance Research is the type of thing medical school officials are relying on to revive the institution's standings. In the lab, researchers carefully load a series of anesthesized mice into one of the world's most powerful MRI machines. With a magnetic pull more than three times the conventional MRIs people rely on to check torn ligaments and herniated vertebrae, this machine has the ability to detect plaques associated with Alzeimer's disease. The center's Associate Director Michael Garwood says until now, researchers were not able to see the plaques without dissecting the brain. "You can see the brain image. This mouse is alive," he says. Garwood says the high-powered magnets can also indicate the likelihood of malignancy in breast tumors, eliminating many invasive and time-consuming biopsies that aren't necessary. "What we're trying to do -- besides make MRI better, quiet, cheaper -- is improve the specificity of it, so we can tell when you see a lesion by MRI, is it worth worrying about," Garwood says. The center is also a magnet for federal research money and remains one of the medical school's focus areas. Imaging, stem cells and genomics are the research specialties the university hopes will build back momentum. Frank Cerra, the vice president for the Academic Health Center, made up of the medical school and five other health-related departments, says research grants are driven by facilities and faculty. "So if we're going to grow, we need somewhere around 30 to 50 new faculty a year. And we need about 125,000 new square feet of research space every other year for the next 10 years," Cerra says. About 7 percent of the medical school's budget comes from the state. Federal and private grants, and insurance reimbursements from patients, pays the rest. Cerra hopes to convince state lawmakers about the long-term benefits of sinking more capital into the medical school, which has unique facility needs. Cerra is also a proponent of a clinical model that flies under the radar of headline-grabbing research breakthroughs, but also has potential for exporting homegrown ideas. At the Walker Methodist Health Center in Minneapolis, six people are crammed into an office built to accommodate two. They represent a team of doctors and medical students that work together to care for between 20 and 30 patients. 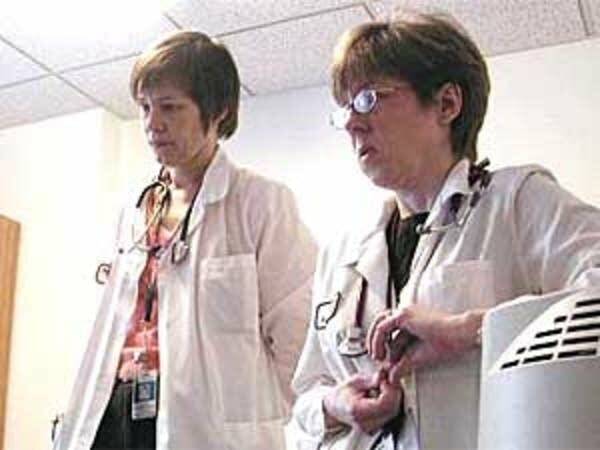 Any one of the team can serve as the leader on any given day, depending on what the patient needs. It's a subtle but noteworthy change in how caregivers operate. Teresa McCarthy, a geriatrician and part of the interprofessional care team, says the team approach can't apply to every case. But she says it's a promising fit for long-term, complicated cases in a time when insurance providers push for shorter hospital stays. "This is the practice of the future for complex patients, in whatever realm they might need to be served," says McCarthy. "We've got to make the financial case. We have to figure out the financial model, but there's no doubt in my mind this is the future of care for those kinds of people." McCarthy says the team approach doesn't yet pay for itself. But she says it pays off for hospitals by reducing unreimbursed return visits. She says it also helps patients by improving communication among all the caregivers that an ailing person comes in contact with. McCarthy first learned of the concept in the early 1980s, when she was a University of Minnesota medical school student under Frank Cerra. Cerra himself took over the Academic Health Center shortly after the conclusion of the Najarian trial. It was a dark time, in which the university was saddled with sanctions from the NIH, had a hospital that was nearing bankruptcy and was losing talent. Cerra wants the Minneapolis program to make important connections to the community. "We had, in a sense, betrayed our contract with the people of Minnesota. We had lost our sense of core values of who we are and why we're here, and I could do something to restore that," Cerra says. 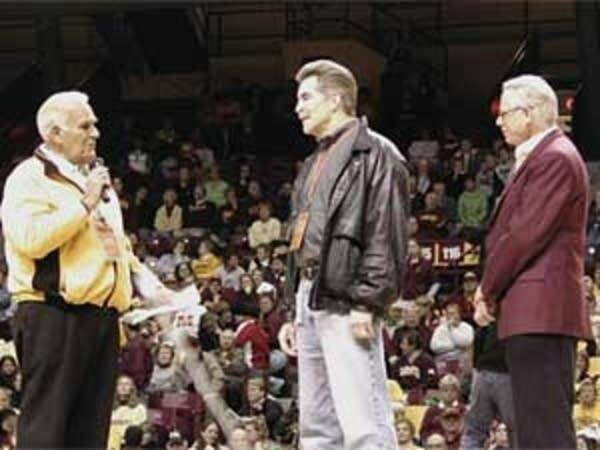 Two days past the 10-year anniversary of Dr. John Najarian's acquittal, the surgeon appeared at center court during halftime of a Gopher women's basketball game. He urged the audience to sign organ donation cards. Najarian shared the time with President Bruininks, head of the institution that once printed a scathing report, saying Najarian misled federal officials and university regents. "I appreciate everything Dr. Najarian has done for the university," Bruininks told the crowd. Najarian received an extended ovation. Back in his office, Najarian says many of the surgeries he performs are now for children, and for people who specifically ask for him. "To this day I can't walk down the street and people don't come up and shake my hand. It's the most amazing thing in the world," he says. Before the ALG scandal, Najarian and the U of M medical school were closely associated. Ten years after he was cleared, Najarian's reputation is mainly redeemed. But the medical school still has a long way to go to build back the stature it once enjoyed.